It seems like every neighborhood has at least one, a flat roof garage. To bad so many of them are a money pit, never able to get the right product or contractor that can waterproof it as a roof and allow us to use it for our furniture and friends. 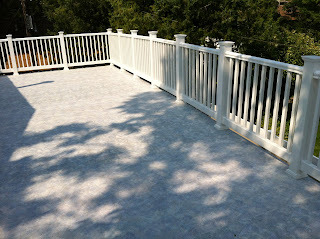 When they are done right (like this one) they are a real asset to the home and can add significant value too! 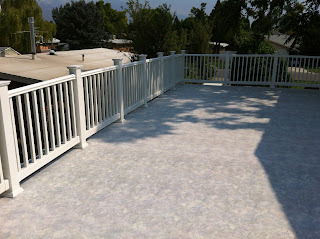 Duradek of Utah was contacted and right away we knew to call the guys at Lonepeak Contracting. 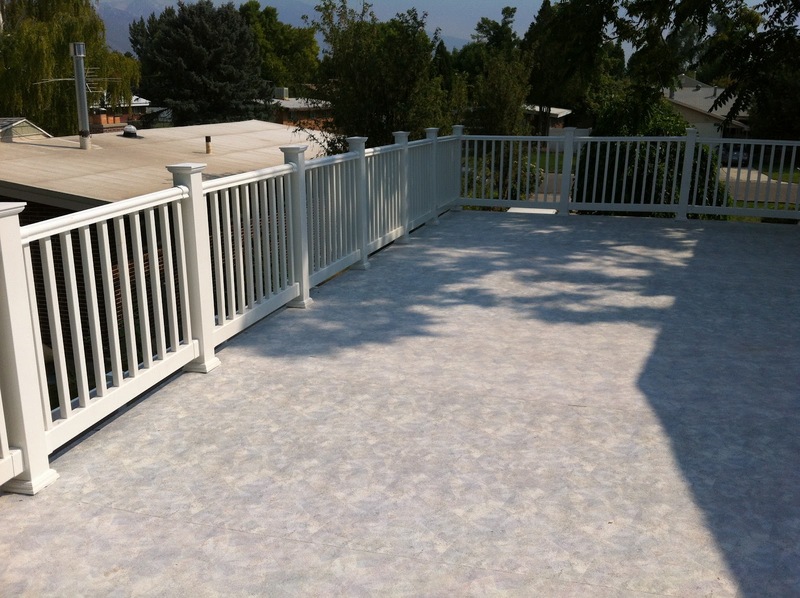 The roof had been covered with outdoor carpeting, looks good for a year or two but it hides what is happening and actually helps retain the moisture. 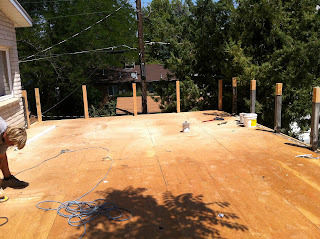 The damage was so extensive the entire roof was tore off and redone with 3/4 plywood. 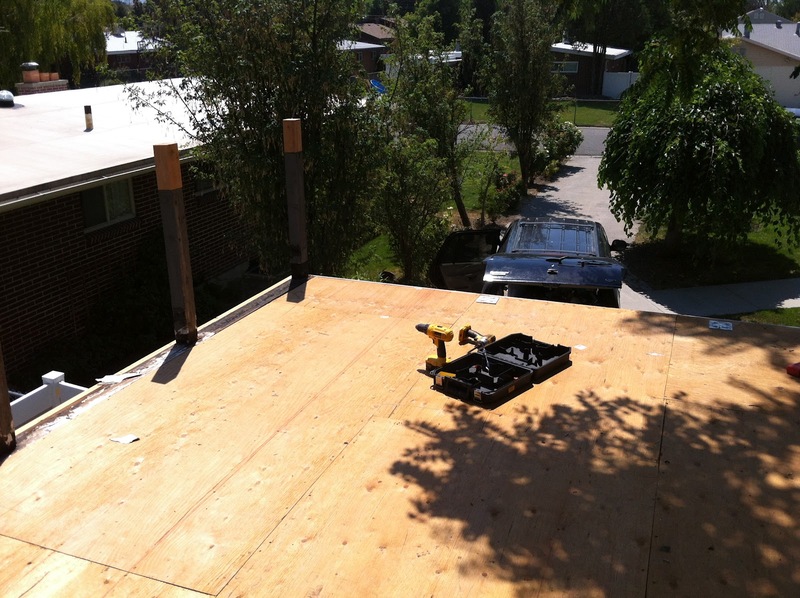 Once the plywood was in the Lonepeak installers prepared the entire surface for the Duradek walkable roof membrane ensuring this garage roof would become an extension of the home. As you can see in these photos the neighborhood eyesore has become the talk of the block. What a great feeling to have, peace of mind that my roof is done right AND I can use the area (more than 500 sq ft) to entertain my family and friends. Go ahead and BBQ all year too, rock salt, ice melt and shoveling won’t bother Duradek at all, simply wash it off in the spring and your good to go!